Whether you are new to the area, new to our office, or currently in treatment, we strive to make you feel comfortable and at home! 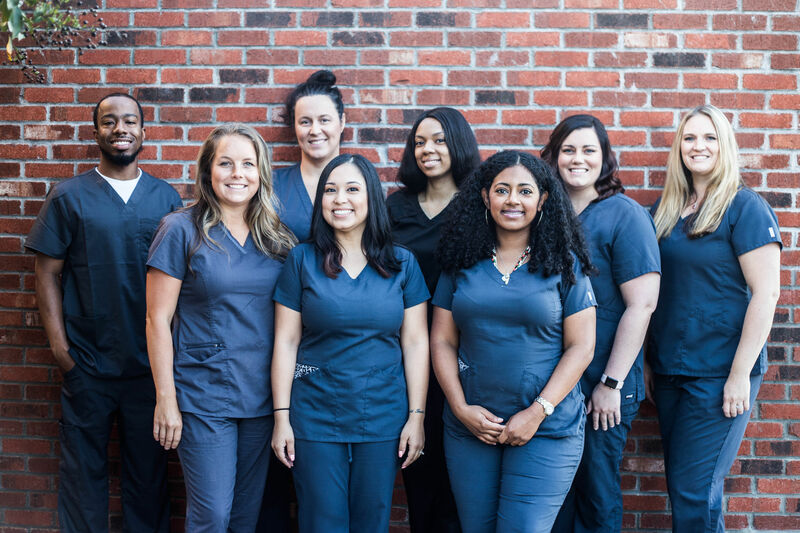 Dr. Khara and our Dream Team of happy, caring, highly-trained professionals are equipped to answer any questions you may have. Upon arrival for your first visit to our office, you will be greeted by our new patient coordinator. She is your first point of contact in our office, and will help you get signed in, help assist you with paperwork, as well as be your tour guide through our office. Once you are signed in, feel free to head straight back to our toothbrushing station. Our toothbrushes are pre-pasted and disposable for your convenience. Afterwards you are welcomed to enjoy a cup of coffee from our coffee bar, relax in our lounge, or head off to our game room. However, you will not be waiting long! Our office prides itself on seeing our patients in a timely manner! Our office has been designed specifically with you in mind. From our diverse group of team members, modern technology and equipment, to our patient friendly layout. In addition we offer FREE wireless internet that can be easily accessed upon entering our office. We are here to serve you! Please let us know if there is ever anything we can do to help better meet your needs!